Present state: Demolished no evidence of the station remains. A residential estate (Ravensmede Way) now stands on the site of the passenger and goods station. Notes: To save on building costs an existing house fronting onto Chiswick High Road was adapted as the main station building for Hammersmith Station. The tracks splayed out into sidings on the approach to the terminus shortly after leaving Bath Road Halt. Almost immediately the tracks passed under the LSWR's Kensington - Richmond line. Beyond this bridge the goods shed stood on the east side of the line together with a substantial goods yard and coal depot. 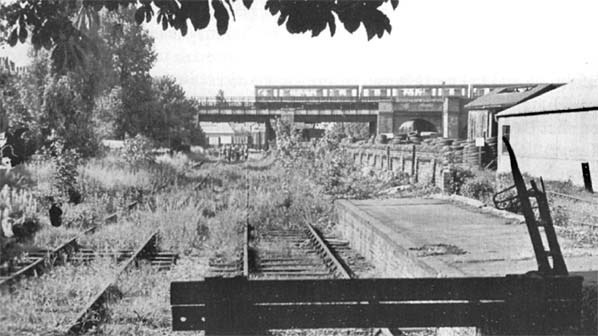 When the station was first opened the station had an engine shed, this was sited north of the LSWR bridge. This was still in use in 1873 but was taken out of use and demolished after that date. A new engine shed was then provided at South Acton near the coal depot. The single passenger platform was unnecessarily long and was never used to its full capacity. A second set of rails was laid but it is unclear if there was ever a second platform or if one was planned. With the introduction of the railmotors in 1909 a short raided wooden platform was built on the platform to provide better access to the new rolling stock. This was protected by a timber canopy backed by a timber wall. At the same time the booking office was closed with tickets being bought from the conductor guard. Its booking office was closed upon the introduction of the railmotors, and from then on all tickets had to be purchased from the conductor guard. After closure the station building continued to stand for many years with the station building reverting back to a house and commercial premises. 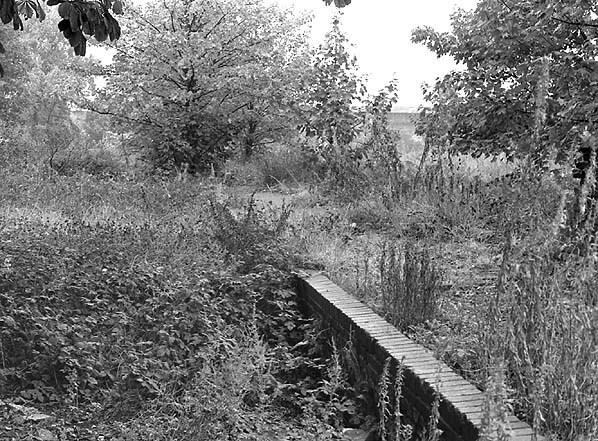 The platform remained in a very overgrown state. 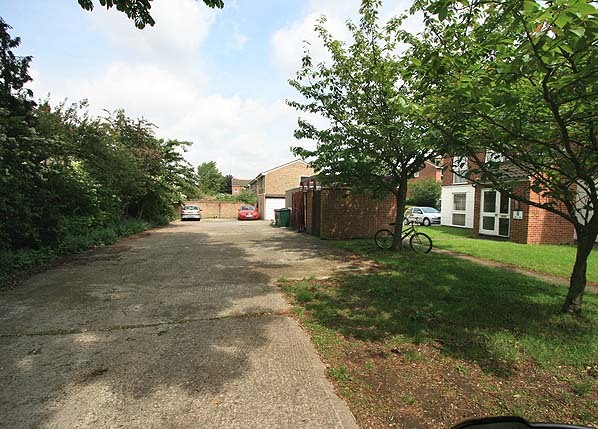 The whole site was cleared for new housing in the late 1970s. The North & South Western Junction Railway obtained an Act of Parliament on 28th June 1853 to build a short branch line from Acton to a terminus at Hammersmith. The line was authorised without guaranteed capital and was to run through an undeveloped area of West London with little potential for passenger traffic. The shareholders advised against building the line but despite this advice, construction went ahead with the branch opening for freight on 1st May 1857 and to passengers on 8th April 1858. The company initially considered using horse traction on the 1 1/4 mile branch but eventually bought an 0-4-0 saddle tank which was kept in their shed at Hammersmith. The line was single from the junction at Acton to Bath Road where there was a loop and sidings running into the terminus. coach on to Hammersmith. This procedure wasn't ideal and there were several derailments as the coach was sometimes released without the train coming to a stop; this was an illegal practice. On its return from Hammersmith, the coach would then be recoupled to the returning Fenchurch Street train. The journey time from Hammersmith into central London took an hour and did not prove popular with commuters. Hammersmith and to cater for this the London & South Western railway opened a line from Kensington to Richmond in 1869 with a station at Grove Road adjacent to the H&C's Hammersmith Station. Both these stations were more conveniently sited than the N & SWJR's Hammersmith Station which was a mile from the town centre. In 1874 the Metropolitan District Railway extended their line into a new terminus at Hammersmith as well. In 1875 further housing development began to take place around the N & SWJR's remote terminus with the building of quality housing in the new district of Bedford Park but with the L&SWR catering for this new traffic from their Turnham Green station there was little improvement to passenger numbers on the branch where the shuttle service was still the least convenient route into London. 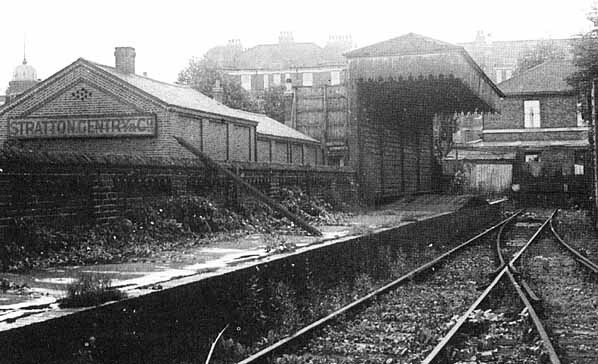 In 1880, a new station was opened at South Acton, close to the junction with the Hammersmith branch. This was provided with a bay platform for branch trains and a new line was laid from the junction into South Acton to allow branch trains to use the station without running onto the main line; this allowed the service to be increased to half hourly; there was however no increase in passenger numbers. The terminus was renamed Hammersmith & Chiswick on 1st July 1880 in a further attempt to improve the lines fortunes but to no avail. By the turn of the century the lines future looked bleak. In a final attempt to attract passengers steam railmotors were introduced on the 4th January 1909 and on the 8th April 1909 three new timber halts were opened at Bath Road, Woodstock Road and Rugby Road to attract the residents of Bedford Park but there was little improvement and the line continued to lose money. In March 1913 the steam railmotors were replaced by more economical petro-electic railmotors but they came too late to save the line. In 1912 the Metropolitan District Railway opened a new station at Stamford Brook, close to the Hammersmith & City terminus and any remaining passengers quickly deserted the branch. The passenger service was withdrawn on 1st January 1917 as a war time economy measure and it came as no surprise when it wasn't reinstated after the war. continued to operate into the 1960's. The Acton Coal Depot and an asphalt plant close to the junction also continued to be served. There were occasional passenger excursions like an RCTS railtour on 10th November 1956. The Acton coal depot closed on 4th January 1965 and freight service to Hammersmith & Chiswick was withdrawn on 3rd May 1965. The track was lifted shortly afterwards. access to the new rolling stock easier. Hammersmith & Chiswick Station looking north in 1955.